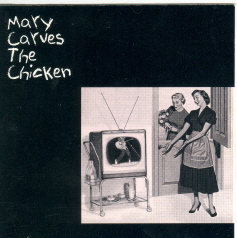 We’ve been looking to replace our lost cd of Mary Carves the Chicken and can’t find a way to purchase it. Is it still available ANYWHERE??? Help!! Funny you mention it – we just had some more pressed. We’ll have them at the show tomorrow. If you can’t make it (and we hope you do!! ), let us know and we’ll get in touch with you. We were really hoping to get to the concert, but can’t make it. 😦 Is there any way to order the cd or somehow purchase it? Please let me know. Thanks!